The past does not define us; what does is only what we choose to be. We are toilers to the past only by our selection. For it is only by unwillingness, do we refuse to let the past remain there. To hold one’s self to the past is to relive it within one’s own mind the past becomes a tyrannical and overarching foe, an obstructing veil that colors what we do and how we live. Worst of all, those with whom we interact, those who cannot see and seldom realize the veil of the past that you choose to wear, suffer the consequences of confusion, miscommunication, and constrained relations. RELATED : Why Setting Personal Goal Is Important? The past serves us with great lessons and reminders. The past is a path that has lead us to this moment. It has only motivated us. When you look to your past, you’ll realize that successes often outweigh defeats. And, more importantly, that you survived through the great defeats and gleaned priceless lessons along the way. 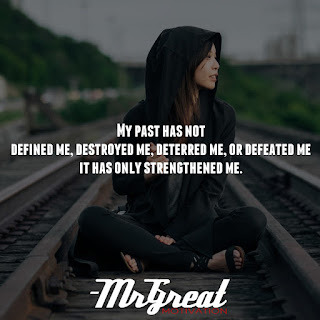 Your track record provides a great inventory of what has happened over the long run, it doesn’t destroy you, it just that past occurrences which you can then balance against what you cringe, may happen in the short term. Every grievous event has defined you as better human being. With your track record as a foundation, it is helpful to focus on your strengths while managing your weaknesses. There are many lessons that we can take from past encounters. All we have to do is use these lessons to help move us forward. 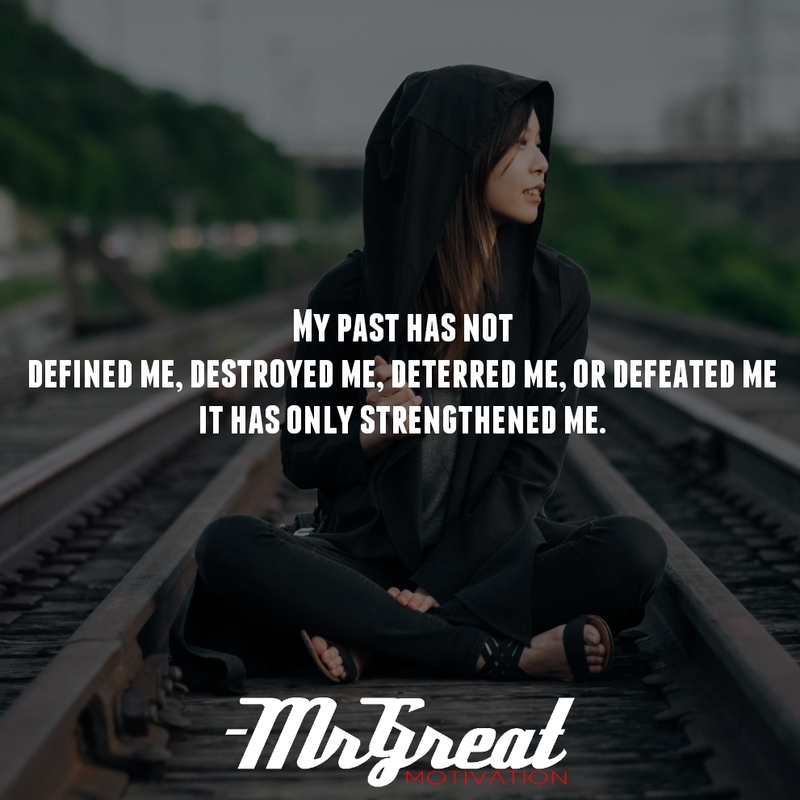 Past has defined us, destroyed us, deterred me, or defeated us; it has only strengthened us, motivated us.